It is amazing that the ability to freeze and capture moments in time, has become a mundane fact. Most people agree that photography is an art form. Only a select few possess the eye and instinct of a photographer. A sense of perspective and spatial awareness is always necessary. Those qualities also apply to website design. For photographers, a website can offer an unprecedented level of exposure. In an instant, works of art can be shared with the entire world. This unmediated connection between artists and fans can only take place online. 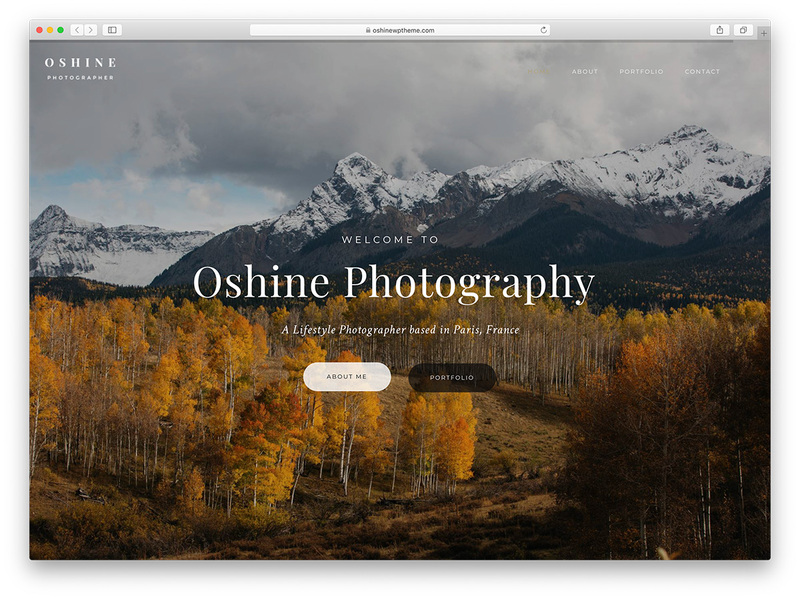 Oshine is a magnificent and multi-purpose tool which you can effortlessly employ for your photography project. With the astonishing collection of 45 demos, there is something for everyone. No matter how picky you might be, with Oshine, you will find the right solution for your outstanding photographies. There are literally unlimited ways how you can push your portfolio and keep your visitors engaged and immersed in your world of creativity. When it comes to working with Oshine, it does not require you to be a coder. With the front-end page builder, you can edit and adjust the default samples in a snap. Oshine also includes enticing hover effects, mesmerizing sliders, carousels, video backgrounds and full-screen sections. You can also expand your online photography portfolio with an eCommerce section where you can sell your artwork and other goodies. Get your name out there with Oshine. 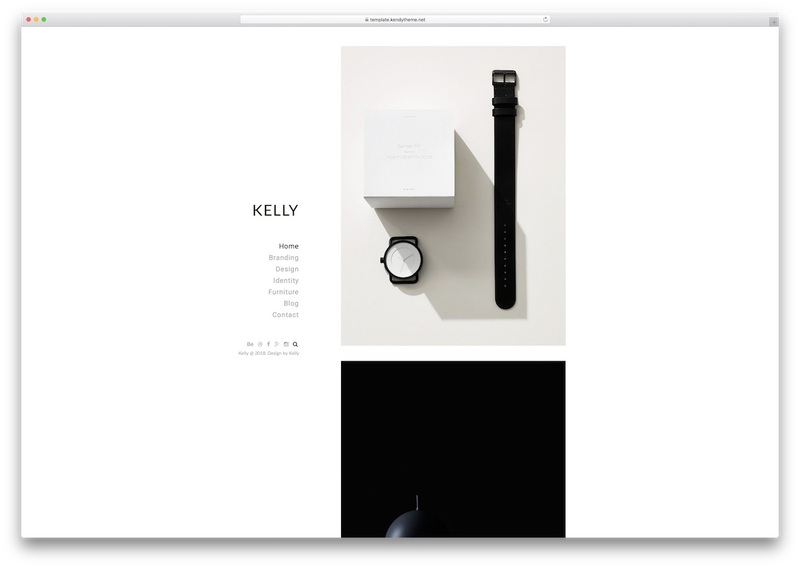 Kelly is a minimal portfolio website template that every creative individual who likes plainness can use. Photographers, too! It has a super clean and straightforward look with four options for the home page. You can change menu section from left to right and pick between titled layout and header text. The navigation is a sticky one so it is always present, no matter how further down your page a user is. They have an option to jump to other sections quickly without the need to scroll back to the top first. When you decide that Kelly is your template of choice, you do not have to worry about search engine optimization, just like you do not have to question yourself whether or not it is compatible with browsers. Kelly practices all the latest web and tech trends always to deliver the best performance. In other words, without regard to device and platform they use, Kelly makes sure your photo site is live at all times. When it is time to show off your very best images, you cannot go wrong with Wizzard photography website template. This impressive solution is built with HTML code and comes with a full screen overlay menu to get your visitors where they need to go. It employs intuitive shortcodes for you to quickly customize the look and make it follow your photo project. Wizzard is also responsive and retina ready to ensure that your site looks the same, no matter where people are looking at it. For the very best that the web has to offer you, all you need is Wizzard. The tool has an enticing front page with two beautiful portfolio variations. Let Wizzard take control of your web design and watch it do magical things. Be impressed by the experience. 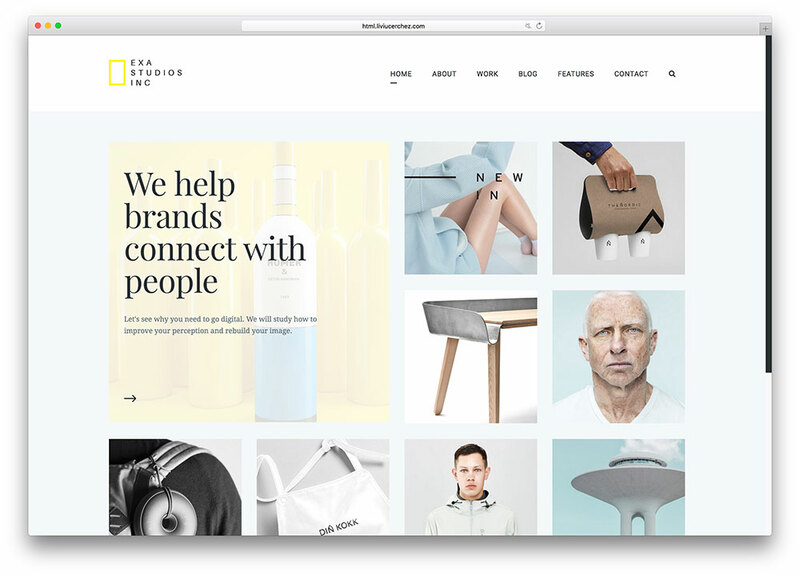 The very best design work has gone into the Madrid photography website template to make sure you can display your creations in the best way possible. Madrid is 100% responsive and will work fluently on mobile devices, tablets and desktops. It is the integrated and categorized portfolio that allows you to push your works and bring it in front of people. The AJAX ready contact form of Madrid lets your visitors talk to you directly and help you gain new business deals. What’s more, Madrid is also entirely customizable so you do not have to worry about looking like another site. It is founded with W3C valid HTML code to ensure constant stability. When it is time to say hello to the internet, just say it out loud with Madrid. Skylith is an ideal solution for hobby and professional photographers to bring their works to the online space. It is a multi-purpose website template with over thirty predefined demos and numerous different portfolio layouts. With the ready-to-use material alone, you can craft the neat page you are after. However, implement your individual touch to it and you can hammer out a remarkable page that none out there is similar to. In the Skylith box, you get contact form, Instagram and Twitter feeds, blog pages and comprehensive documentation. For all of you who are in need to perform some particular improvements, the friendly support team is always available to assist you. But the code is so clean and the documentation so simple to follow, you will be able to construct a functional and professional page all on your own. 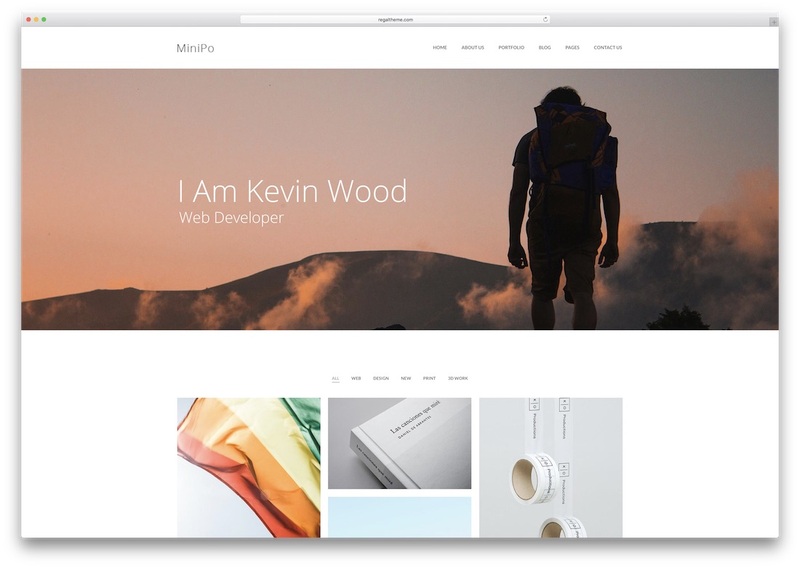 With everything that MiniPo photography website template has to offer, you will never have to find another way to create your unique online presentation. To break down its name, MiniPo is actually a minimal portfolio by default with great capabilities of altering to any professional’s needs. Since photographers are our current main topic, MiniPo is ideal for all your photo work. MiniPo comes with a total of over 52 HTML pages which consist of eight home and 25 portfolio pages. There are more than enough ways pre-made for you to display all of your work. Furthermore, keep your fans up to date with any of the twelve blog pages and let them know where you are going next. If you download it now, you will receive full support from the creative team behind this offering. Get things going strong with MiniPo. Every creative out there who is looking to market his or her talent online, a website is the first thing you need. Instead of doing things all on your own, investing countless hours in design and development, do it with Art instead. 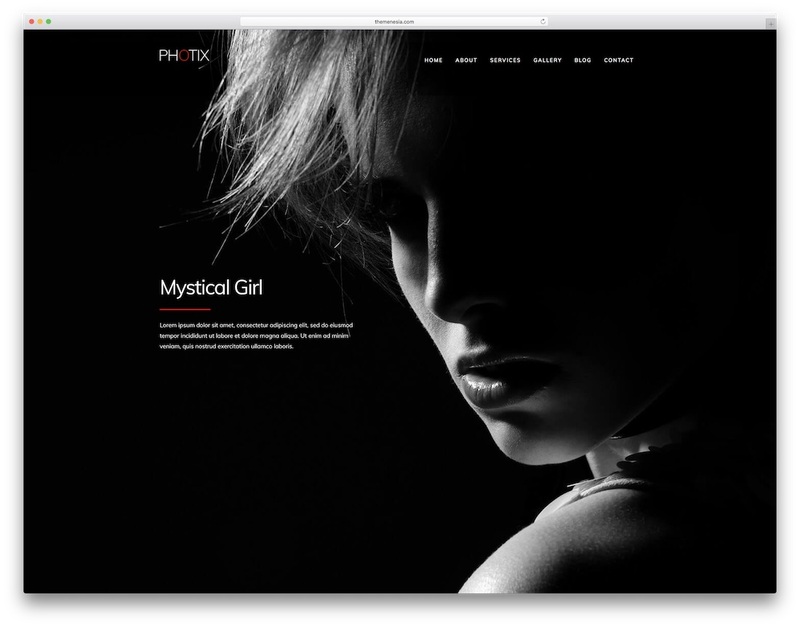 It is a fabulous, high performing and expertly optimized website template for photographers and the like. It is simplicity what makes Art stand out from the crowd and your go-to tool for attaining the success you set for yourself to achieve. Art, although minimal and fairly plain, still delivers a whole lot of options for your fresh photographies. Unlimited layouts, stunning header types and blog pages, it is all there at your disposal. You can enable or disable image lazy load, ad a custom logo or set posts with or without a sidebar. Spice things up with fifteen different scrolling animations and create a strong first impression. 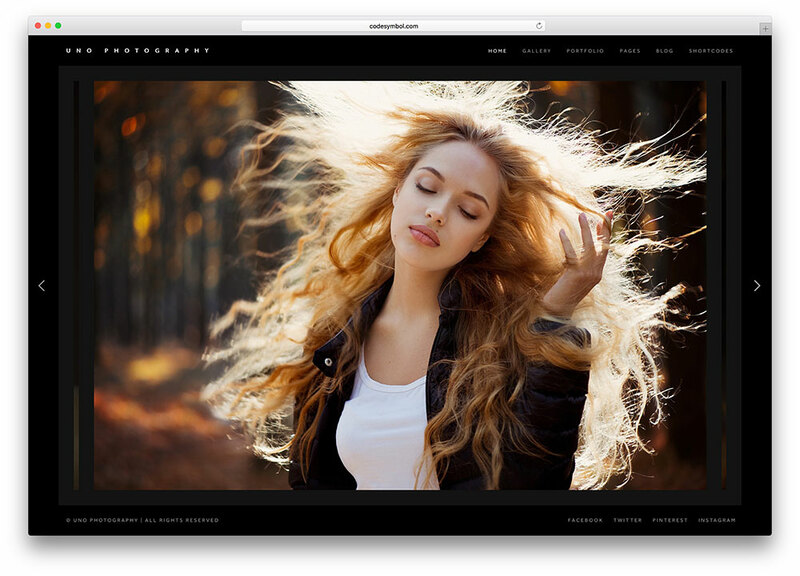 Whether you are a professional agency, a freelancer or just want a space to show off your portfolio, Photomania is the photography website template to go with. The page canvas is based on Bootstrap, HTML and CSS3 to give you a stable and flexible experience every single time. No matter how your guests are checking your work out, Photomania always makes sure it looks amazing. Hurray for top-notch responsiveness. Photomania has five variations of index pages ready for your convenience. Pick what suits your style best and start from there. The full package consists of forty unique pages to make sure that you will stand out from the herd and shine. It is the clean and modern design of Photomania that will keep people coming back to see what you are up to. Whether it is lifestyle, portrait, landscape, fashion or any other photography you do, The One takes care of your portfolio with ease. This great solution has everything that you need to make the page you have been dreaming about. It comes with sixty full style variations, light and dark skins and a full-screen image slideshow to wow all your visitors. You can set the images in both the background and the foreground to highlight what you really want to show them. There are multiple galleries to choose from and use however you see it will be the best fit for you. If you want a site that is one-of-a-kind to you and impressive to your visitors, The One is, well, the one. Great animations, cross-browser compatibility, contact form with validation and MailChimp newsletter, the features are there, it only requires your attention. Let the world see your best side with Liza photography website template. This valuable package comes with nine superb gallery layouts that you can choose from. It also has full-screen gallery support so your visitors can see your work up close and personal. With the multiple layouts, you can craft a unique experience they will not soon forget. You can be sure to keep them up to date with all of your latest work in the blog section that Liza comes with. Liza is a combination of great features and even better characteristics for your photographies to reach a wider audience. Whatever there is you would like to display on the world wide web, it is Liza that will get your site where you want it to go. Just dive in and do it full tilt with The Dive photography website template. One template, unlimited possibilities. No matter what type of a photographer you are, The Dive is ready for all of you. It has fourteen advanced demos at your service for you to find the ideal option for your online appearance quickly. 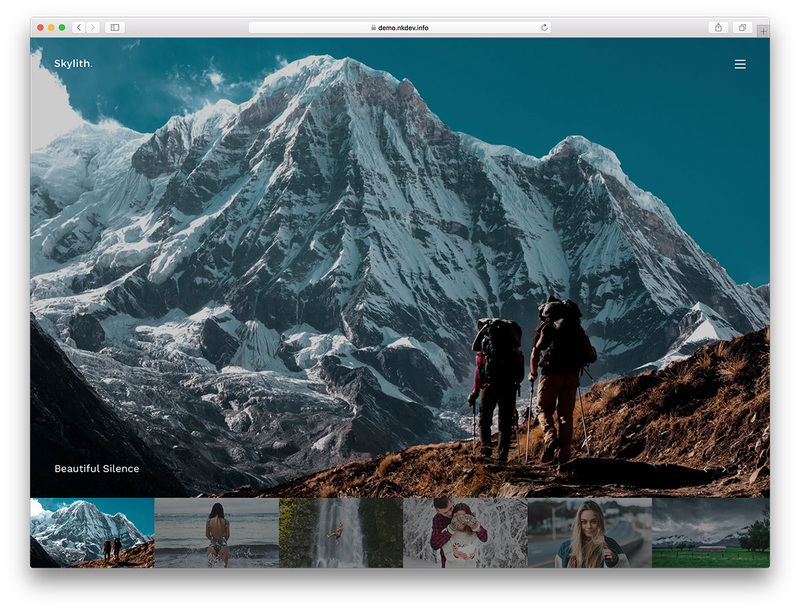 You can choose from multiple images, single image, hero parallax content slider, split screen and carousel slider. The Dive makes it happen with the handy “three-step method.” You download the template, you modify it and you go live. When it comes to features, you get animated counters and skillbars, smooth transitions, text rotator, light and dark skins and MailChimp newsletter. Bring your compelling photo portfolio on the internet and expand your potential. When photographers capture a moment, they usually aim to encapsulate the photos’ immortal potential. If you are one of these creatives, then you can rely on Missio. And it does not matter if you are an amateur or a professional photographer, Missio works with both like a dream. 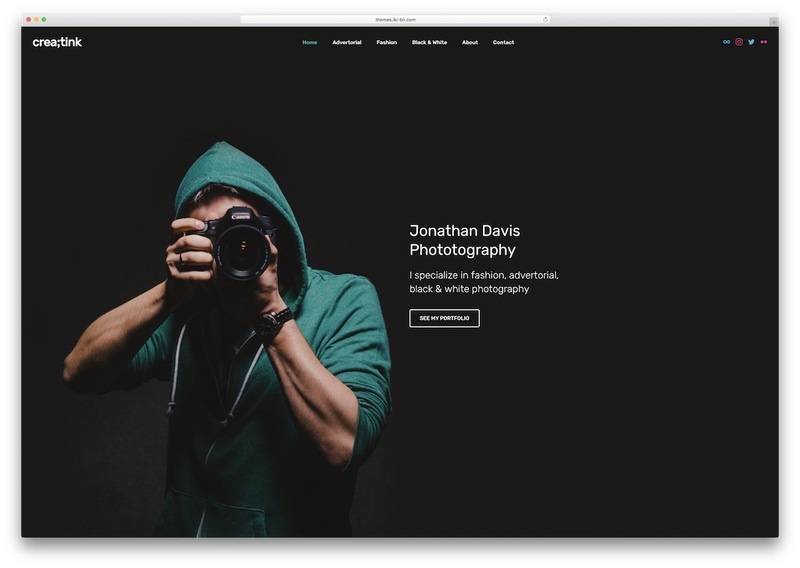 This photography website template is capable of bringing visitors into the place they want to, just by looking at your website. Well, Missio has features that encourage sojourning viewers to relate to your experience. These include tons of breathtaking graphics, functional tools, layouts and, of course, your extraordinary photographies. On the technical aspect, you can design your website with ease by tweaking colors, fonts and headers to name a few. Missio effectively combines purpose and passion like no other template. 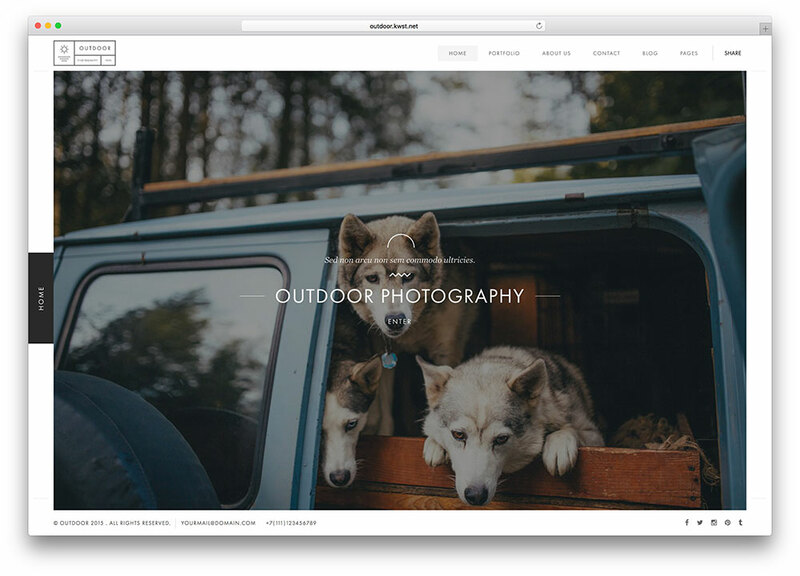 Render a pixel-perfect website with a template that specializes in the photography field. 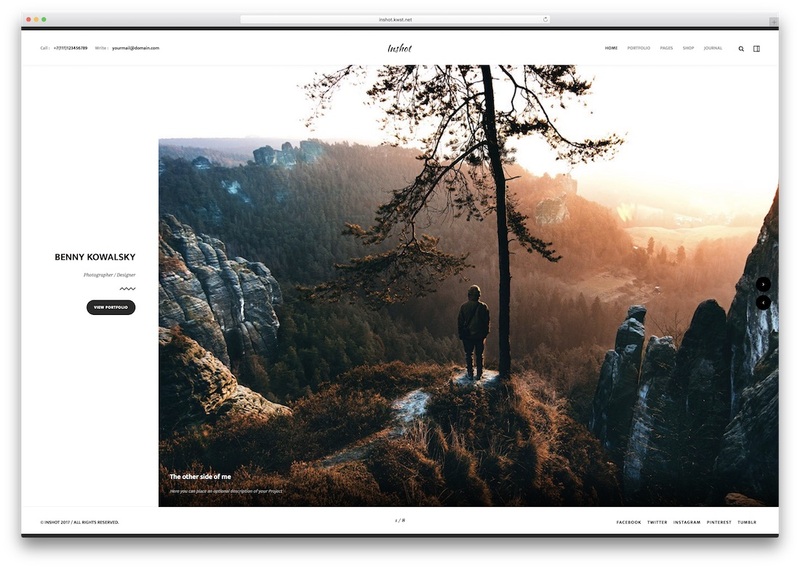 Presenting Kotlis, a photography website template suitable for any photographer out there who is interested in taking their web space to an entirely new degree. With Kotlis, you can showcase your projects and artworks professionally thanks to its impressive collection of portfolios and layouts. All pages are responsive, retina-ready and in tune with web browsers to ensure a stable and seamless operation. The remarkable Kotlis package includes dark and light looks, seven index pages, working contact form and both Instagram and Twitter feeds. You can add or remove elements and fine-tune Kotlis to your signature style precisely. There’s no mistake in saying that this theme is the only one you need if you truly want to make a difference. Every website has the power to impact others, but only the ones who know how the system works approach it successfully. Be one of those excellent pioneers through Photix. 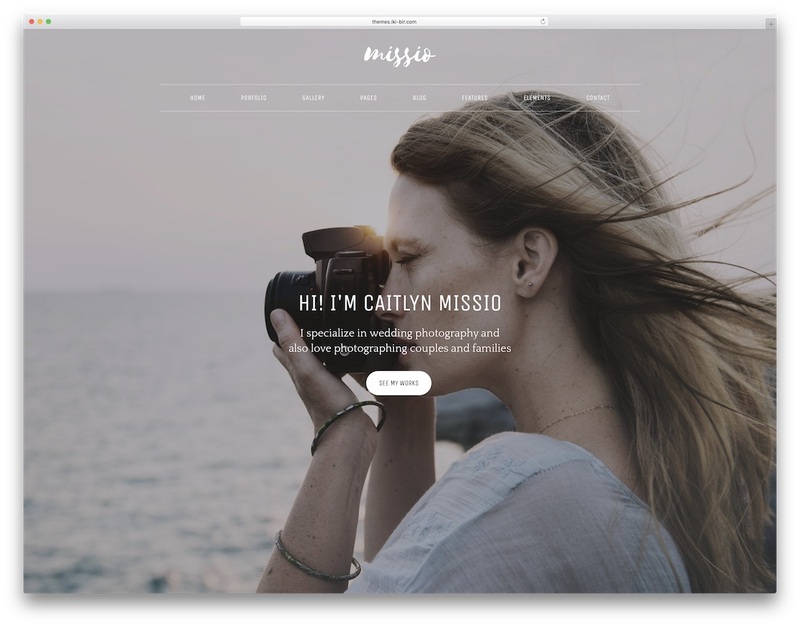 This photography website template is packed with magnificent web designs and easy-to-use tools to help you publish a great website in a rather short timeframe. Perfect for any niche, Photix focuses both on the creative and functional side of things. Choose and modify the available content and you will soon have the right look that you would like to rock the online world with. Photix comes with three stunning index pages, animated stats, back to top button, blog, gallery and a full-blown contact page. Besides, you can always count on the instantaneous technical support from friendly staff as well and see the results you want to attain even quicker. Let Emily turn you website photo project into a fun and unique destination on the internet. The photography website template has everything that you need to make your work shine and attract potential clients. Whenever you want to add or change things up, you can do it freely and easily. Emily has an amazing full-screen image slider which appears crisp clean on all devices. 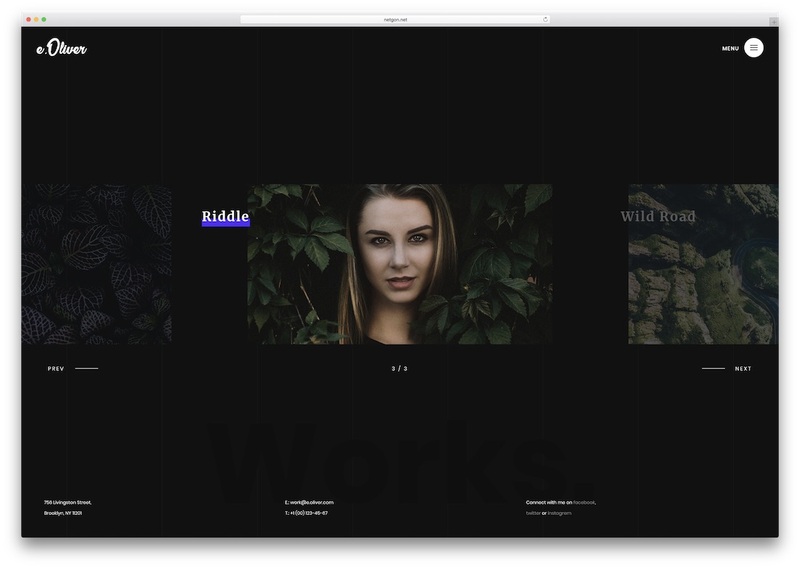 For an enhanced experience, Emily’s page transitions are animated and the colors you want to add can follow your branding to the T. Make your vision a reality with Emily’s clean and organized code which is effortless to modify. With Emily, you will never have an issue with stability and it is also SEO optimized to drive traffic right to your front door. Enjoy the originality of Emily now and put together a page that will turn you from someone unknown to someone known. 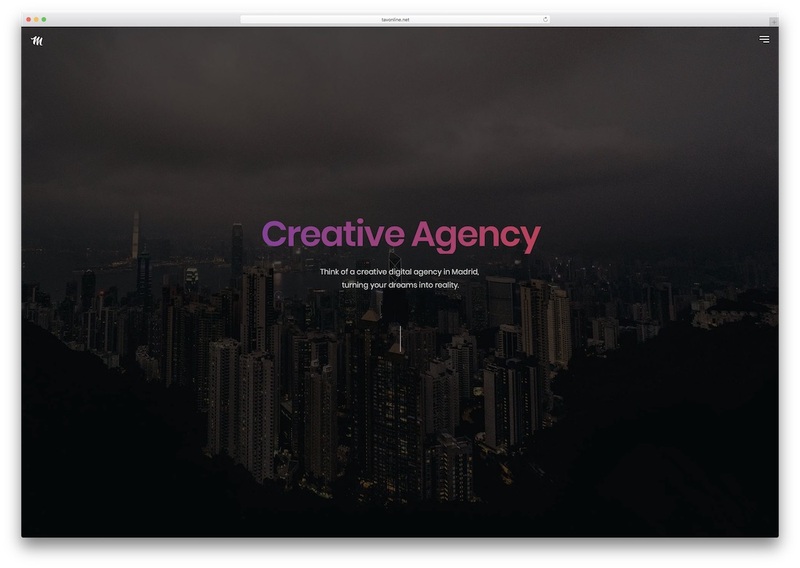 Crea;tink is a massive multi-concept website template with loads of ready-to-use demos for any business. For photographers, Crea;tink has nine creative demos available which both individuals and agencies can use. On top of that, Crea;tink also has over three hundred UI elements and more than two hundred of total HTML files. There is something for just about every taste out there. As creative as you are and as artistic as you would like your page to be, it is Crea;tink that will make it happen for you. Included in the bundle are also four premium plugins for creating enticing sliders and to sort out the contact page. The code of Crea;tink is written with people in mind and commented what makes using and editing it a simple task. Are you in need to build an online photography portfolio? You came to the right place. 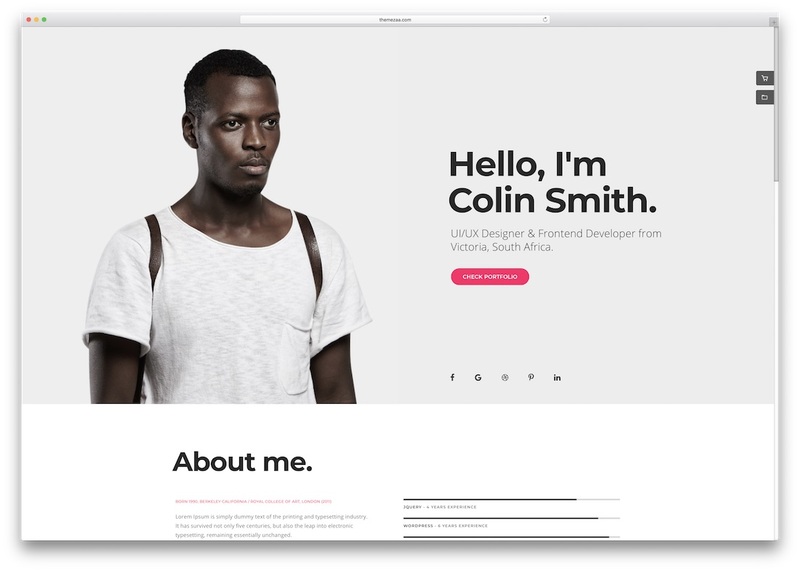 Portfolio is a website template with a simple name but it provides a wide selection of options for your websites. Seven outstanding layouts hit you strong. You might find yourself in a position where you do not know which variation to go with. Yes, that amazing all predefined looks are. Bear in mind, no matter which you go with, the outcome will always be a cutting edge one. 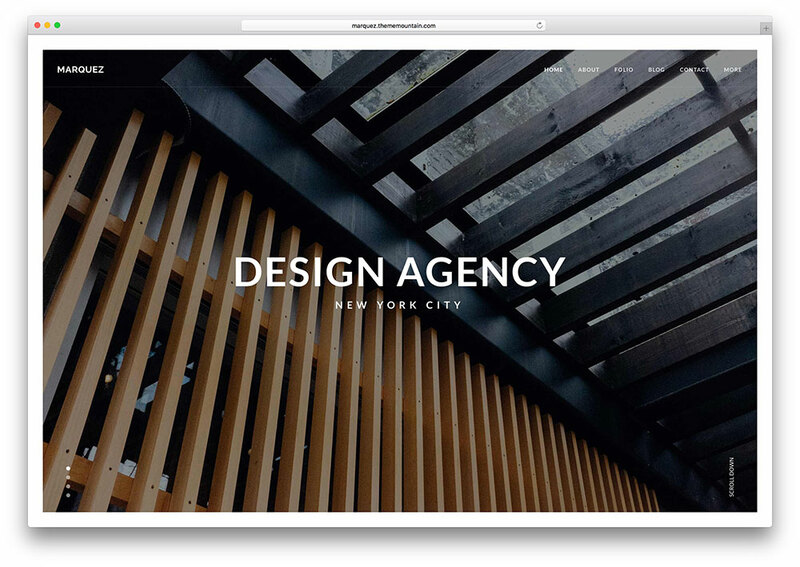 It is not only the home pages that look phenomenal, all other sections of Portfolio are noteworthy, too. 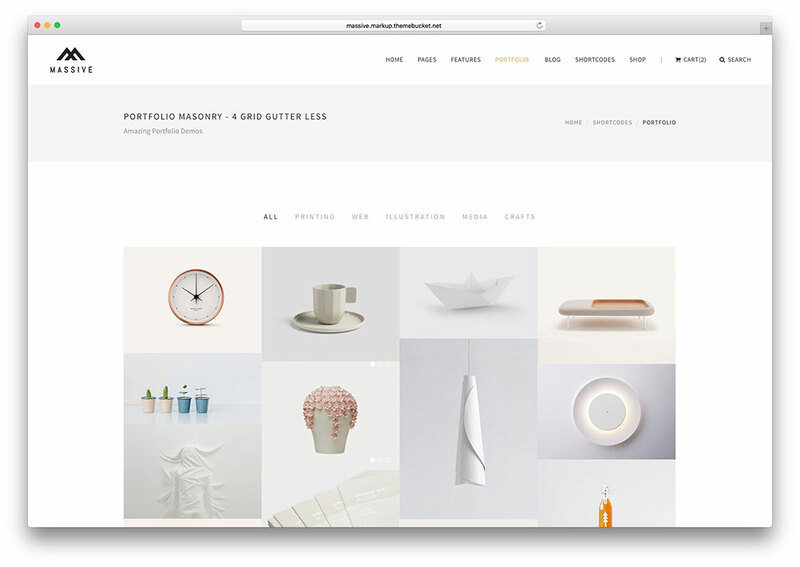 From about to blog, whatever you find in the Portfolio kit will impress you through the roof. Even the added coming soon page, everything is top-notch. If you want effective and pliable galleries to best display your creations, then look no further than Inshot. The splendid photography website template has seven index pages to choose from and six styles of portfolios. Fill the latter with whatever your heart desires and let Inshot do the hard work of displaying it to the world. Set the video background or whatever you like and give your visitors an experience they will never forget. Inshot is retina, touch and swipe ready, for your images to appear crisp, clean vibrant on all devices. Do not waste your time doing other things. Let Inshot do all the hard work for you and bring online something fresh and neat. When you decide to pick Inshot template, it is a guarantee that you will create a strong first impression on all your page guests. 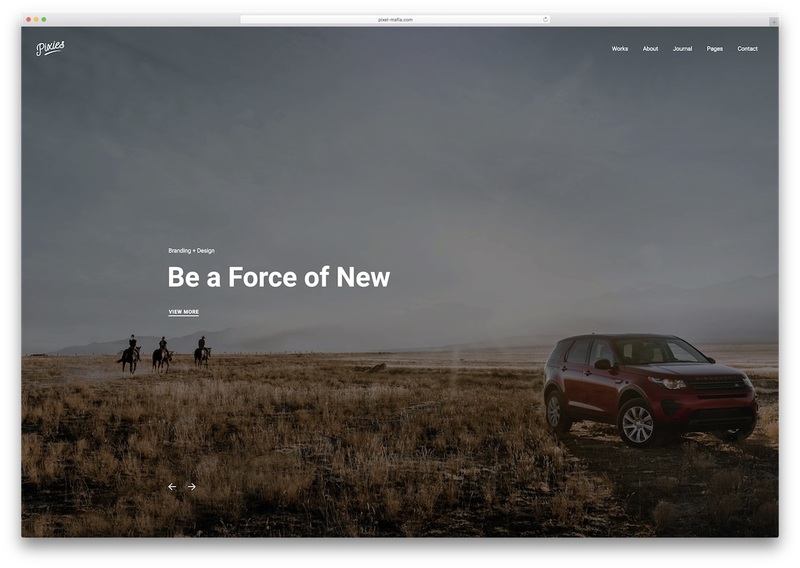 For something sleek and stylish that will drive traffic, use Oliver photography website template to establish your stupendous pesence on the web. Oliver is a responsive, cross-browser comaptible and simple to use tool that works smoothly no matter where they come from. Bootstrap Framework gives Oliver pliability and extendability, as well as steadiness. The functional photo gallery of Oliver is perfect for exhibiting your very best images on the world wide web. Over thirteen pages decorate Oliver and offer all its users the very best design with a unique touch to it. And if you would like to start the hype early, make sure to use the coming soon/under construction page that comes with a subscription box. Let Oliver take away the challenges of web design and create your page. 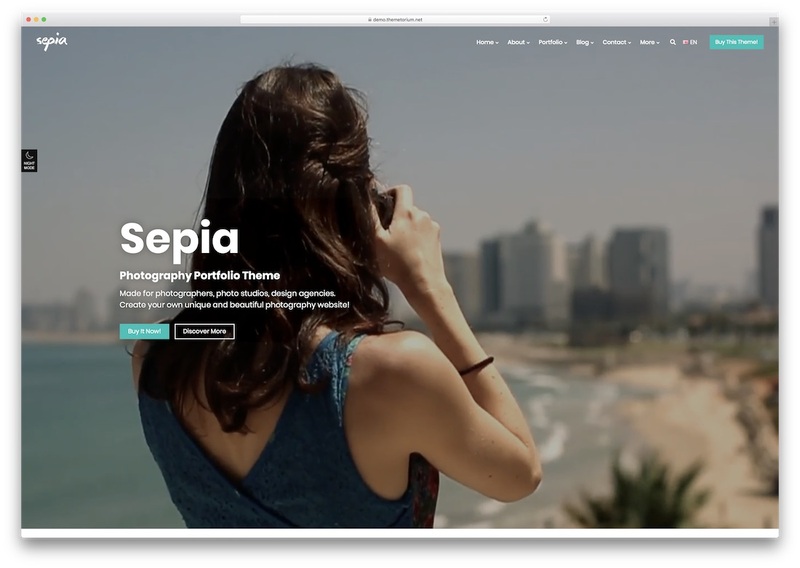 To create the perfect page for yourself and your images, let Sepia photography website template take all the hard work away. It is powered by Bootstrap, HTML5 and CSS3 to ensure your online space to smoothly adapt to any device, not to mention, ease of use. There are both light and dark versions to choose from along with more than seven homes. Sepia has 41 portfolio styles, ten blog looks and just about any other inner page for you to benefit from. The neat and refreshing design will give your visitors something to enjoy while taking in all of your best creations. You have already put in the hard work to make your images, now let Sepia show them off to the world and the people to love them. Whether you help others build websites or you just want unlimited options for yourself, pick Arcon. This is a multi-purpose website template that covers every niche of every industry. And if you do not find something that it exactly to your likings, by all means, tweak it, it is easy after all. For all the passionate photographers who are interested in expanding their potential, check out Arcon’s exclusive demo. 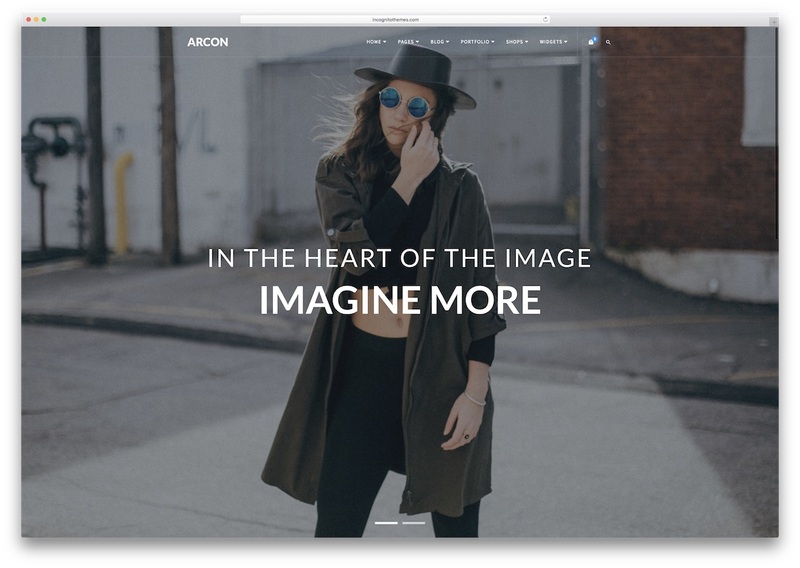 Arcon has this full-screen image slider that makes a strong first impression and every visitor hungry for more. 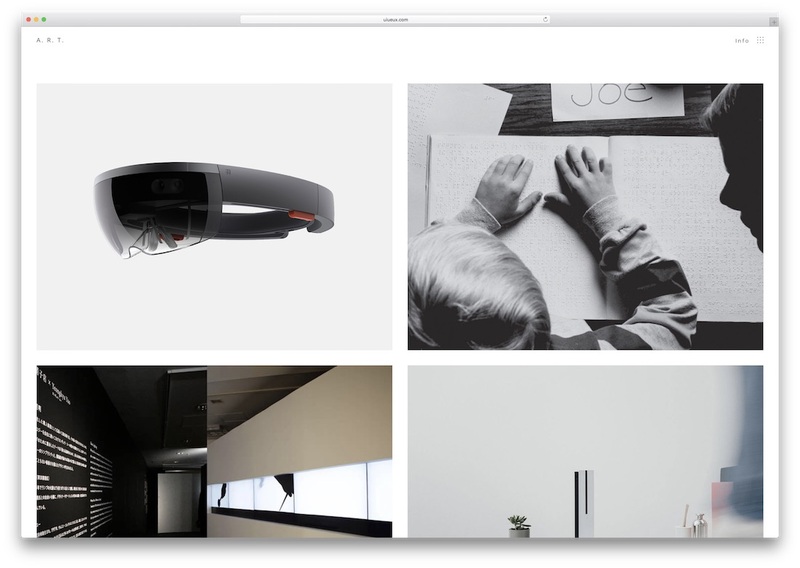 Full-width portfolio follows right below and it is simply stunning. One cool feature of Arcon that will surely spark your interest is the footer reveal. You do not see that on a daily basis what could easily be the detail that distinguishes you from the masses. 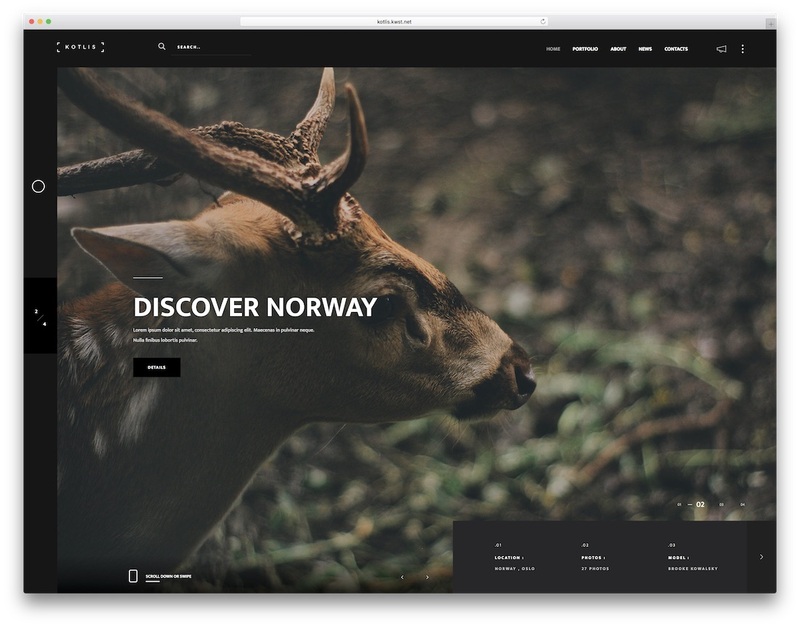 If you are searching for a reliable, modern, and simplistic HTML5/CSS3 photoraphy site template, look no further than Uno. This product is quite versatile, and it can adapt to a multitude of websites. However, it is best used to enhance your photography web page. The code is clean and well-written, resulting in an optimized browsing experience for both customers and site owners. There are 2 different layout skins, 3 home layouts, 14 gallery layouts, and 6 portfolio layouts. Shortcodes were included, in addition to 3 layouts for blog posts, 6 blog layouts and 2 contact layouts. Lack of customization choices will never be a problem for Uno customers. 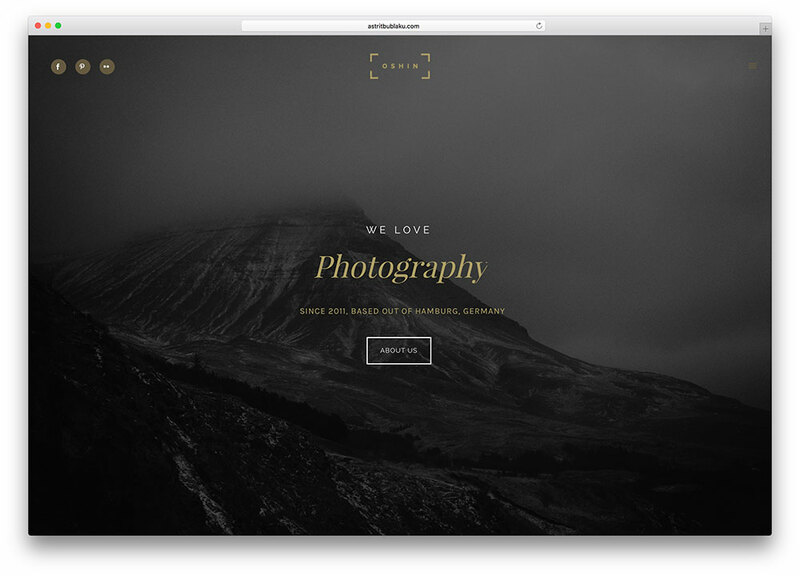 As a new user, creating your first photography website can be a little daunting. However, you can always rely on the information that is provided by the documentation source. It explains every Uno element in detail, arming you with the knowledge that is necessary for success. It should also be mentioned that various ThemeForest files were included, in addition to 43+ HTML files. Thanks to the fully responsive layout, followers can easily browse your photography site from their smartphones and tablets. For a more hand-on demonstration of Uno and its capabilities, be sure to access the live preview. 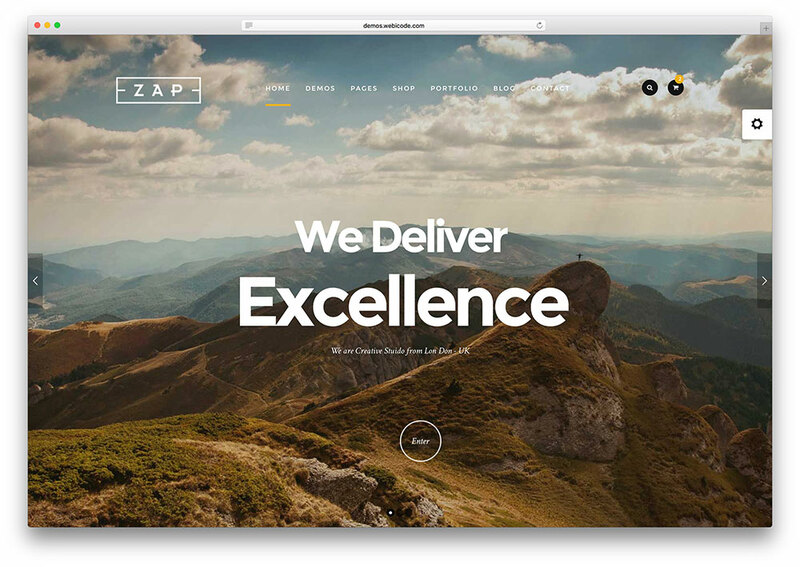 Zap is a versatile HTML photography website template that features an engaging and creative design. Users will benefit from a large number of practical features, each implemented in order to increase your odds of success. You will have the ability to create gorgeous slides via the Slider Revolution plugin. These slides can shine a spotlight on your best content, proving to your customers that you are worthy of their attention. Regardless your niche, Zap has you covered. It can be used for product, business, corporate, photography and portfolio web pages. This template seamlessly blends gorgeous Parallax animations with a fully responsive layout, resulting in an astounding browsing experience for all users. Indeed, your website can be viewed from any web browser or device. By accessing the powerful admin panel, site owners will be able to modify the page fonts, colors and styles. Every option will be under your control, as you start to design your hit website. In addition, the admin panel is very intuitive and easy to navigate. Zap has incorporated 50 PSD files, 7 creative layouts, and 3 distinct layouts for your shop. If you wish to sample this template’s features without having to spend any money, be sure to access the live preview. LeadGen is a beautiful and responsive HTML marketing multipurpose website template. The tool is a gorgeous template for webmasters looking to express themselves with eloquence. LeadGen is the best way to present your content to a massive online audience effectively. You can reach a broad audience without breaking a sweat with LeadGen. LeadGen is well suited for handling multimedia content in creative styles. Photographers love LeadGen because it allows them to showcase their finest work. Perfect for marketing your content, LeadGen is an easy way to monetize your work. With awesome static or sticky headers and footers, LeadGen is yours to brand. You can customize LeadGen in every possible way while making the right impression. Your photography has never looked as good as it will with LeadGen. Drive up your traffic with top-notch SEO performance. Bootstrap technology ensures maximized reach across browsers and devices. Reach a broader audience and let more people enjoy your visual works. Photography agencies, freelancers and marketers find in LeadGen a solid partner. Establishing a palpable online presence with LeadGen is an effortless matter. Social media features are built right into LeadGen to let your photography go viral. Give LeadGen a go today, and take a snap! 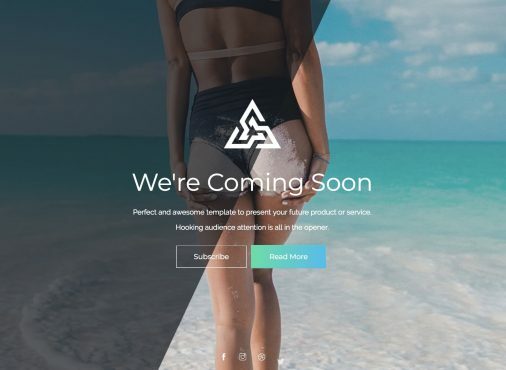 Exa is an exemplary HTML template, perfect for any ambitious marketing, creative, digital design agency or freelancer web page. Regardless of your needs, Exa can meet them. The layout focuses on ease of use, as it avoids the implementation of unnecessary elements that would only slow your loading speed. Users will gain access to a blog, two different styles for contact pages, and a stylish portfolio. Photoshop source files were also implemented, for the customer’s convenience. Exa is Retina-ready, fully compatible with high resolution Retina displays. Many customers will be pleased to know that this product caters to those who prefer hand-held devices. The layout is completely responsive, capable of showcasing content on any device of web browser. Better conversions are available, given that all main pages will feature valuable information above the scroll. For inexperienced users, website development can be a very daunting process. Thankfully, this template has included a well-written documentation source that offers to explain every feature in detail. In a very short amount of time, you can craft a page that matches your vision. If you wish to sample Exa and its incredible features, be sure to access its live preview. No monetary risk is necessary, given that it is completely free. 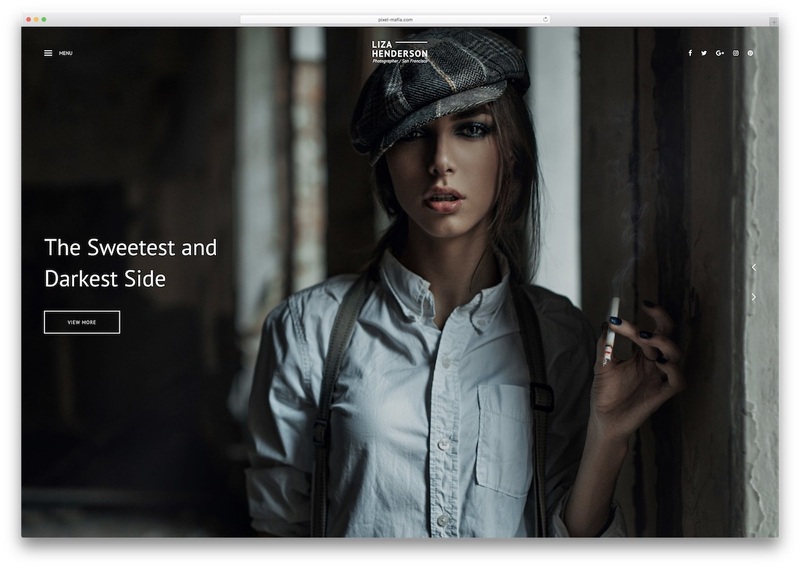 Massive is an impressive HTML5 photography site template that stays true to its name by offering a large number of useful features. There are more than 260 pages, and more than 50 home page variations. Every relevant tool will be at your disposal, and you will not have to rely on 3rd party add-ons. From start to finish, customers can design a fully-functional website in a matter of minutes. Massive can be used for general, corporate, spa, hotel, renovation, event, agency, and photography web pages. The layout is entirely responsive, and it can showcase your content on any platform, web browser or device. This can free your schedule, as it allows you to manage the site while on the move. This template has included 70 layered PSD files, along with 27 PSD mockup files. Users only need to double click on a smart object in order to replace the photo. It is possible to establish a lucrative online commerce business, given the inclusion of some modern eCommerce layouts. Selling your items has never been easier. Parallax sections are available, in addition to 150 shortcodes, 6 options for footers, and 20 different menu styles. For your portfolio, Massive has included 85 gorgeous portfolio pages. 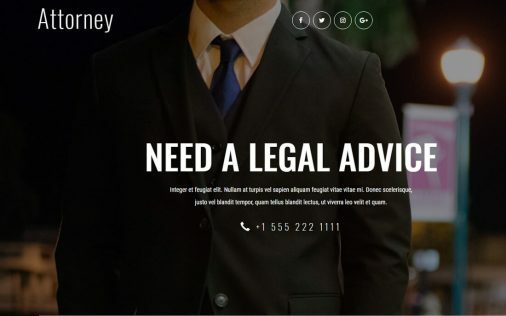 Powerful and resourceful, Oshine is an HTML5/CSS website template that never disappoints. It has an impressive collection of useful features, and a streamlined layout that maximizes performance and customer convenience. With Oshine, your content can be showcased of high resolution Retina displays. In fact, this responsive template can function on any platform, device, or web browser. More than 150 HTML page were included, in addition to an optimized and well-written code. Your photography website can even include Google maps and some gorgeous Google Web Fonts. Oshine has a working contact form, a clean design, and a collection of useful Font Awesome Icons. This product likes to keep it simple, as it is very easy to install and personalize. Even less tech-savvy users can swiftly create a fully-functional page in a matter of moments. However, should you encounter any issues, do not hesitate to contact a support representative. Freedom can be measured in the amount of choices that you can make. Oshine has 18 gorgeous demos, each with its own unique charm. Few products can offers so much variety and customization possibilities. If you prefer a more hand-on demonstration of this template’s capabilities, be sure to access its free live preview. Pofo is a premium quality template with a highly creative look, ideal for photographers and creative people who want to show their work. In all demos and layouts options, photographs are the point of focus. Pofo relies on a stunning appearance, and was designed based on image impact. It is a Bootstrap-based design from HTML5 & CSS3, multi-purpose and responsive. It comes with more than 25 unique demos and over than 150 exclusive building elements. 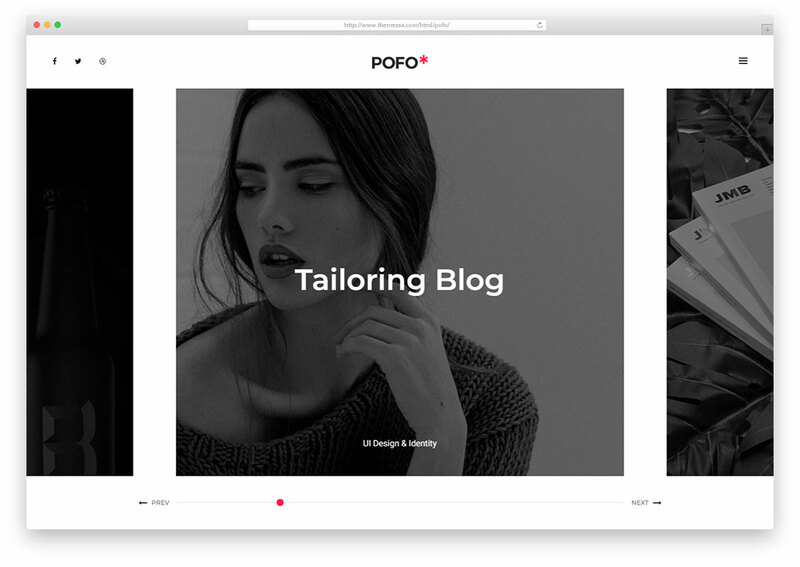 Pofo features a large selection of impressive ready-to-use portfolio layout styles. Grid, Masonry, Metro, Vertical and Horizontal slider are some of them. Singles pages layouts are also included to achieve your goals of display. Pofo comes with powerful boosts and compatibilities that make it customizable and scalable. Some of these include: Bootstrap Toolkit, Animate CSS and Ajax Contact Form. Make beautiful video backgrounds and custom posts with ease! Font Awesome, Themify and ET Line Icons are also included. Some dynamic features really make images stand. Parallax and Animated Skills Bar and even Slider Revolution are some of those and they all come for free! What are you waiting for? Try this modern, fast loading, well documented, and vibrant template. Try Pofo! 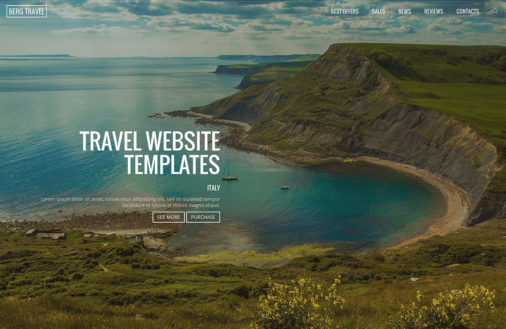 Outdoor is a modern, intuitive and streamlined HTML template that can greatly enhance your web page. It can be used for photography, design, and creative sites. Users can enjoy unique slideshows for their home page, in addition to some gorgeous full screen backgrounds. Regardless of your needs, this template has you covered. The layout can easily adapt to any device, as it can showcase your content on smartphone and tablet screens. There are 4 distinct portfolio page styles, and 9 different single page style portfolio options. Outdoor supports swipe and touch screen capabilities, making it easier to interact with the interface. Customers can save up to $90, due to the inclusion of the Isotope premium plugin. For your page background, you can even include YouTube videos. The template is Retina-ready, as it can showcase site elements on high-resolution Retina screens. Outdoor offers a comprehensive documentation source that can explain every feature in detail. Newsbies can easily become experts in a short amount of time. Working Ajax PHP contact forms are available, along with 6 diverse home page styles: Static Image and Video, Multi-Slideshow, Horizontal Carousel, Slideshow and Slider. For more information regarding this template, be sure to access the live preview. 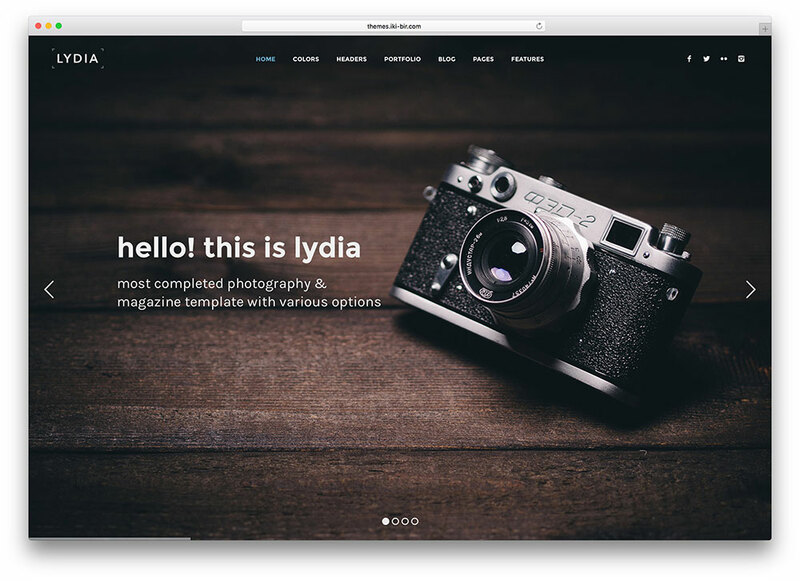 Lydia is a top-quality HTML5 photography website template that can service the needs of freelancers, bloggers, digital studios, creative agencies, photographers and artists. It offers many innovative portfolio and blog options that boost your chances of landing a lucrative contract. Lydia can be your greatest asset, in a hyper-competitive market. It is constructed with the incredible Twitter Bootsrap v3, and it incorporates more than 30 unique HTML templates. In addition, every template can be personalized with 11 color palette options, 8 home layouts, 3 distinct headers, an Ajax portfolio and one-page options. Customers can even save $34, by taking advantage of the 3 premium scripts which were added free of charge. Lydia can feature the user’s Flickr and Instagram feed, allowing for greater social media integration. The template also incorporates various footers with widgets, multiple layouts for your blog, and even a Google Maps function. Free updates and support are available for all clients. Search engine optimization is a feature that cannot be overlooked, when it comes to website development. Your website will be SEO-ready, increasing your online exposure. It should also be mentioned that the layout is responsive, capable of showcasing content on any web browser or device screen. 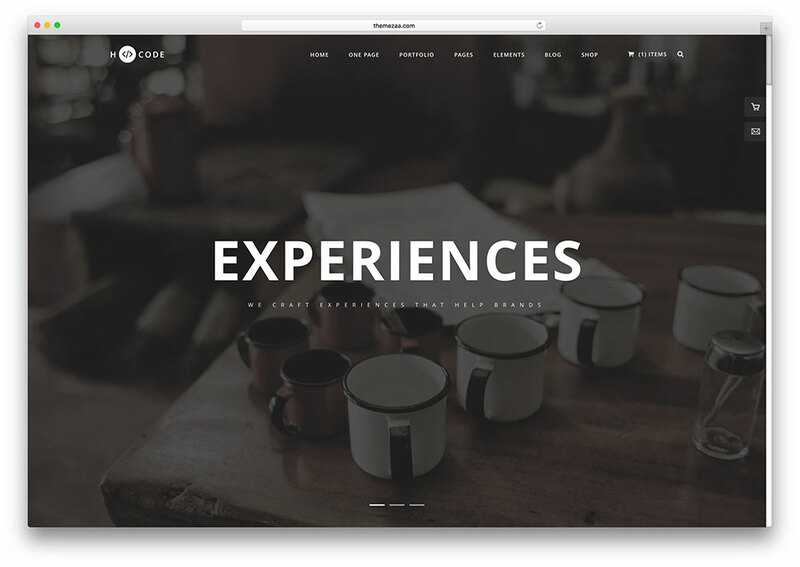 Marquez is an exceptional HTML template that never fails to impress. Its modern, responsive, and Retina-ready design promises full compatibility with any platform, device, or web browser. With such an inclusive and versatile template, your online presence will surely increase. Marquez users wil be able to choose either a Regular, or a boxed version. If any issue arises during the instalation or customization process, the customer can always rely on the excellent support system. In addition, a detailed documentation source was made available. It offers to explain every feature in detail, turning you into an overnight expert. Users can also expect future updates that can expand their page’s capabilities. With Marquez, the hunt for third-party plugins is over. It has implemented 8 innovative plugins which were developed internally. The modern Timber framework includes more than 20 useful features that facilitate the customization of site layouts. There are also 400 Font icons, and a series of visual personalization tools. Customers can choose to implement 2-6 column grids, and full-width masonry grids. Two footer styles are available, in addition to an overlay mobile navigation function and a MailChimp newsletter registration form. Marquez has 3 layouts for Contact pages, 3 About page layouts, 6 Project layouts, and 4 Home Page layouts. Few HTML templates can even hope to match Borano quality and attention to detail. Every element was analyzed and improved, managing to seamlessly balance power and simplicity. Borano makes sure that your projects become a reality, as it promotes and showcases your content. This product was constructed using CSS and HTML, resulting in a modern template that never fails to impress. In addition, it features a streamlined and well-written code that can maximize your page’s capabilities with any web browser. Of course, it is also aesthetically pleasing. Fullscreen Background Images, Fullscreen Background Videos and Fullscreen Content Sliders are available for the customer’s homepage. 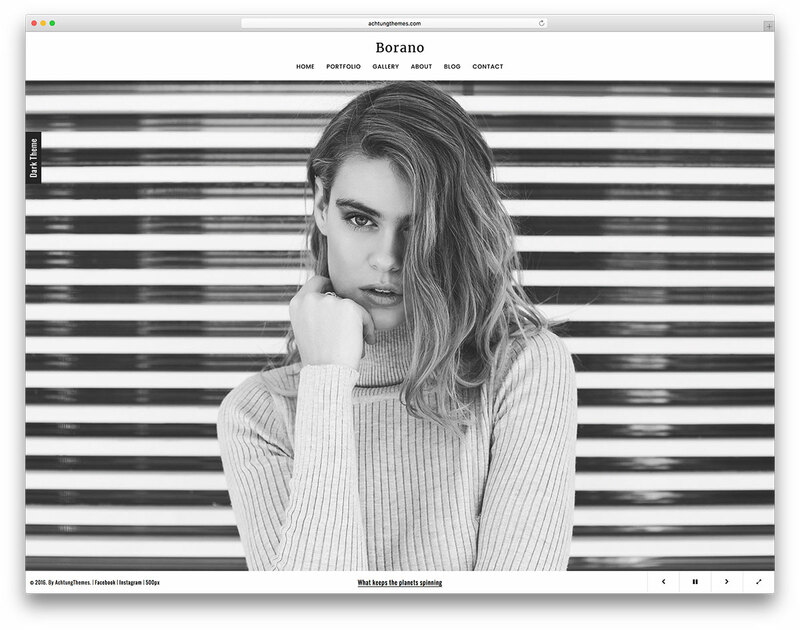 Borano has an About Page, and a Portfolio Page with covers, filter bars and toolbars. You can even feature Vimeo and YouTube videos, or upload your own video files. Page customization is accessible for all users, given that this template aims to maximize client convenience. No advanced programming knowledge is required. If you wish to learn more about Borano, be sure to access the detailed documentation source. It contains information regarding every feature. The template is jQuery Enhanced, fully-responsive, and it has cross-browser compatibility. A live preview was made available for customers who wish to sample this product. 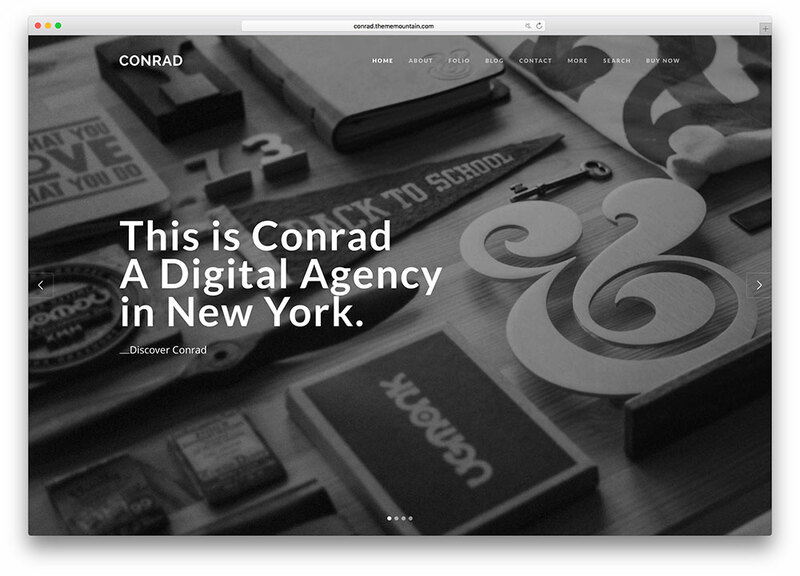 Conrad is an HTML template that exceeds all expectations. This incredible product has many innovative features, and a streamlined layout that can function on tablets, smartphones, desktop computers and laptops. In addition, users can access your page from any web browser. Conrad offers One Page and Multi-Page variations, allowing the user to choose an option that best suits his needs. There are Fullscreen Slider Sections and Fullscreen Parallax sections. Regardless of your market niche, this template has you covered. Users will benefit from a sortable portfolio with variable column numbers and margins. Multiple project layouts are available, in addition to 400+ Entypo Font Icons. If any issues arise during the customization or installation process, you can always contact the dedicated support representatives. You can select from two Footer Styles: multiple column or minimal. You can even establish an informative online newsletter, thanks to the implementation of a MailChimp newsletter signup form. If you choose to purchase this product, your hunt for third-party plugins will be over. Conrad incorporates 8 unique plugins which were created in-house, along with some interesting 404 and 500 pages. For those who wish to sample this template without having to commit to a purchase, a live preview was made available. 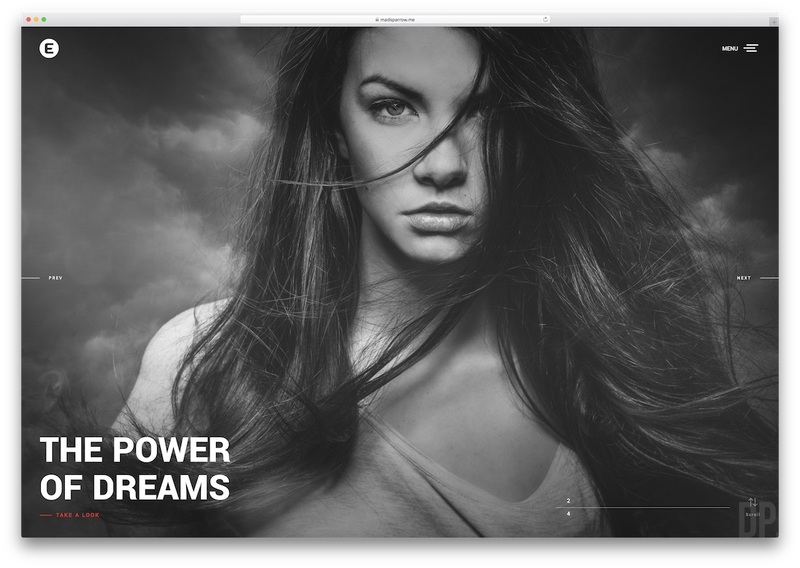 H-Code is an incredible photography HTML5/CSS3 website template that can improve your creative website. It is available in both one page and multi-page variations. You can use H-Code for your resume, fashion, architect, photography, corporate and eCommerce web pages. Upon installation, users will benefit from 57+ fully-functional home page template variations, and more than 190 HTML templates. With so much variety, this product can accommodate any customer. The creators also streamlined its code and written it very well. This maximizes your site’s performance. In the online market, the activity of the search engines drive everything. H-Code is SEO-ready, increasing your chances of obtaining a good position on search engine rankings. Customization is also encouraged, given the implementation of many portfolio options, layouts, and shortcodes. When trying to stay competitive, speed is a factor. From start to finish, you will be able to design a fully-functional site in a matter of moments. H-Code has included 31+ multi-page demos, 6+ creative intro demos, and 26+ one page demos. Your site will feature a wonderful Mega Menu, an Ajax portfolio, and a series of free updates. There are also eCommerce layouts that facilitate your ventures into online commerce. For more information regarding this template, be sure to access the live preview. These HTML5/CSS3 photography website templates are great and would get the job done for most users. However, they might be tricky to manage if your website grows large because HTML is much harder to manage since these templates have no content management system attached to them. 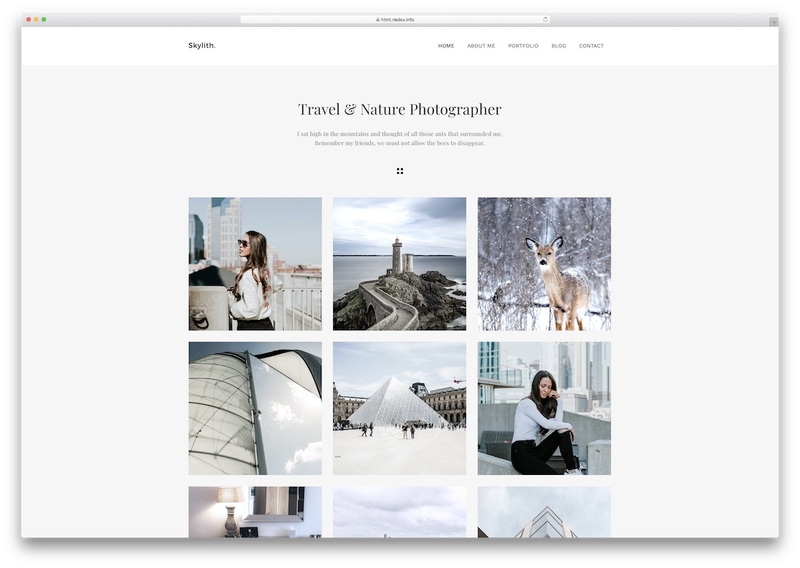 If you are looking for simple admin interface and don’t want to deal with code then you might want to consider WordPress photography themes such as these. WordPress is by far the most popular CMS and it will help to manage your photography website and your portfolio. It will also make your website more secure and reliable. I am not saying that HTML themes are bad but not everyone is looking to deal with HTML and CSS but instead wants a simple admin dashboard for content management. What is the name of the template you used as the main picture for the subject? Unfortunately, we have discontinued that theme as outdated. However, we have a wide selection of many awesome themes. We have also replace that image not to confuse users.